Veteran reporter Ralph Cipriano, author of The Hit Man: A True Story of Murder, Redemtion and the Melrose Dinner, offers a piece at Bigtrial.net on former Cosa Nostra hitman John Veasey. 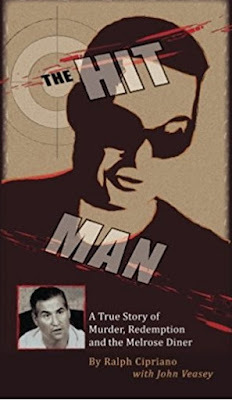 Yep, "John-John" Veasey, the former high school dropout, was appearing live at West Chester University to talk about his life in the Mafia and the witness protection program. And his current reincarnation as a born again, right-wing Republican, and multimillionaire car dealer. Veasey was the invited guest of Al DiGiacomo, a former Philly cop who is a criminal justice professor at West Chester U. "He's real," DiGiacomo told the students about his guest. Back in the 1990s, when he was captain of detectives in South Philadelphia, DiGiacomo was the commander whose men were chasing Veasey around town during a mob war. That war featured hits "downtown," as the locals refer to South Philly, and shootouts on the Expressway.